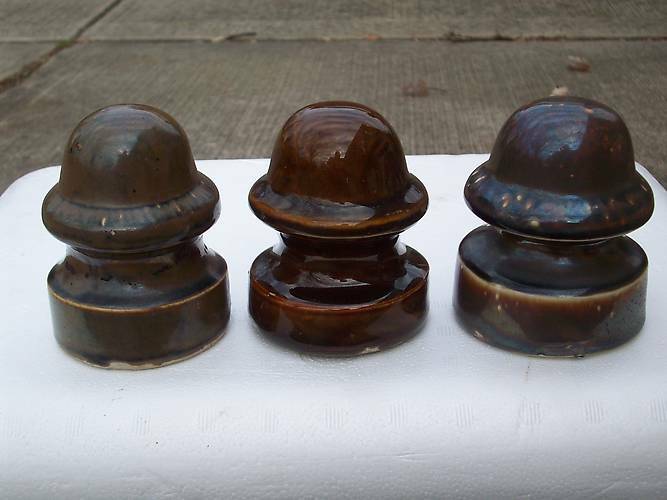 Porcelain Insulators > "Trentons"? Yes? Maybe? The middle signal has all the right features exept the glaze which is not very "Trenton" like. The others are "probables".